So we’ve barely gotten over the dramatic ending to the Austrian Grand Prix, and yet there is no time to catch our breath – Round 10 is here! Silverstone has a long history with Formula 1, and is the spiritual home of British motorsport. The track itself was once an airfield, and whilst it has undergone some big changes in recent years, the essence of the circuit still remains. The fast sequence of corners from turns 10 to 14 is one of the most exciting challenges for an F1 driver – they wrestle the car through this sweeping set of left and right-hand curves, before hitting the Hanger straight, even hitting Stowe (turn 11) reasonably hard. Having personally attended the Grand Prix back in 2013, I can attest to how these cars move around this place. In the context of 2016, we arrive here with the fallout from Hamilton and Rosberg’s collision on the final lap in Austria, with Mercedes issuing final warnings to the pair about avoiding contact. Adding to the tension are the inflammatory remarks from Mercedes non-executive chairman and three-time champion Niki Lauda, who spoke about Hamilton’s behaviour and claims of a good relationship with Rosberg. It’s my humble view that the comments from Lauda are ill-timed, and will only create further problems. They also seem designed to distract attention away from Rosberg’s error in Austria. With the gap between championship leader Rosberg and Hamilton down to 11 points, there will be extra motivation for Hamilton to beat his teammate at his home race. 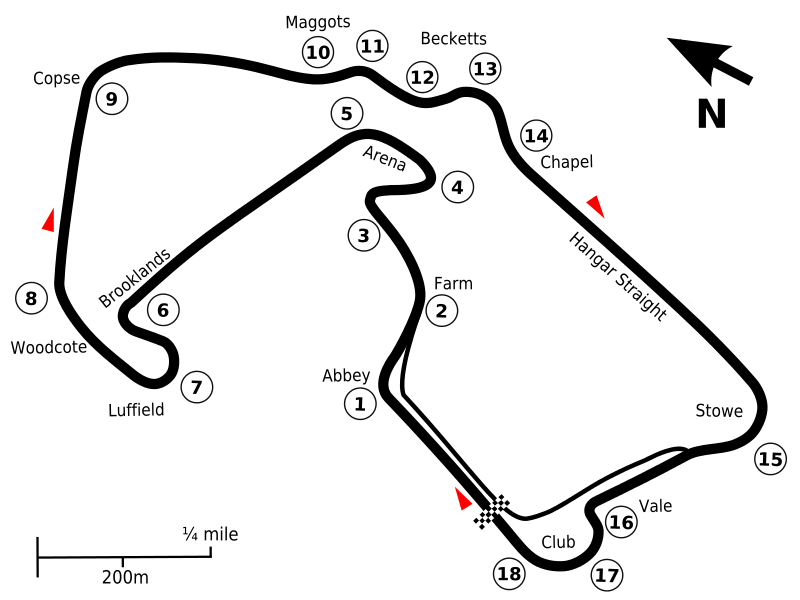 Hamilton has won the past two British races – might he win for a third straight time, and equal Nigel Mansell’s record of four wins at Silverstone? Can we expect to see anyone challenge Mercedes? Silverstone is a power circuit for the most part, and thus favours the Silver Arrows and their powerful engines, but it might offer an opportunity to the other Mercedes-powered outfits. That being said, it was Red Bull and Ferrari that were closest in Austria, so who knows?